The recent controversy over AP World History highlights concerns over how to effectively cover and responsibly contextualize the breadth of human experience. The College Board’s decision in spring 2018 to significantly reduce the chronological periods covered in AP World History—focusing only on events that have occurred since 1450 CE—was met with widespread criticism and sparked passionate responses from high school teachers, university faculty, and professional historical organizations. Given that the current version of the course begins at 8000 BCE, the proposed change would trim world history by about 9500 years so as to allow students the opportunity for deeper analysis “through sustained focus on key concepts and practice of essential skills.” However, critics were concerned that this change would lead to a number of pedagogical problems: a lack of appropriate attention to antiquity and its subsequent influence on later eras, reinforced biases toward a Eurocentric view of the world, and exacerbation of students’ current struggle to grasp the cross-cultural connections that are revealed when history is considered through a long, global lens. As noted by one commentator, “AP World History was developed in part to counter the modernism and Western focus of AP U.S. History and AP European History” and it had grown increasingly popular since being introduced in 2002, with over 285,000 students participating in 2016. As noted by the Medieval Academy of America, “It is impossible to make sense out of the political and historical climate of the mid-15th century without a grounding in what came before. It is especially unfortunate to suggest, with the 1450 start date, that ‘world history’ effectively begins with the arrival of white Europeans in North America…” In response to these critics, the College Board in July amended its plans and now proposes to split the AP World History curriculum into two courses focused on, respectively, world history prior to 1200 and world history after. 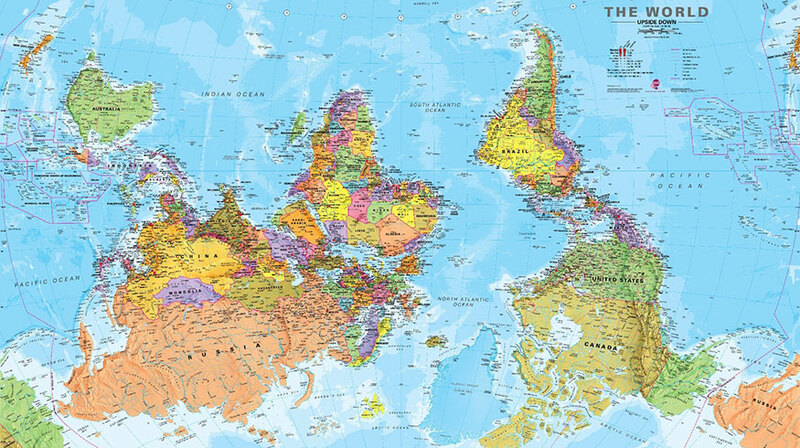 There are a number of issues at play in this recent controversy but what seems central is the challenge facing teachers who try to tackle the pedagogical problems associated with world history. Since the mid-twentieth century when professional historians began to shift their focus from the history of nation-states toward the broader scope of area studies and the 1980s when scholars outside of Europe and North America offered critiques of an overly Eurocentric international history, a variety of scholarly approaches have emerged as correctives: transnational history, Atlantic World history, borderlands history, diasporic history, world systems history, and many others. However, in many cases, the curricula adopted in university classrooms has failed to to escape the limitations of the western civilization survey courses that preceded them. 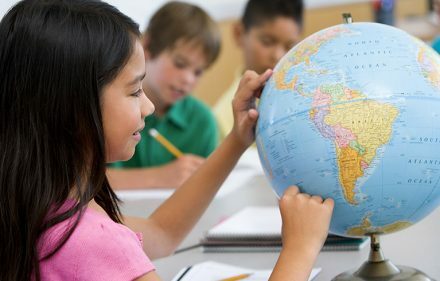 These limitations are, in many ways, repeated again and again at all levels as teachers try to cover broad swaths of time and geography with their students while teasing out important aspects of intercultural and intertemporal connectivity. To help teachers address these challenges, it may be helpful to shift the conversation from what content should be covered toward a greater emphasis on the methods professional historians use to think about and develop more nuanced and comprehensive narratives about the history of the world. Foregrounding the tools and materials historians use and asking students to reflect on the practice of history itself is essential to developing historical consciousness and to fostering intercultural historical learning. It may also be helpful to explore resources being developed and disseminated by scholars involved in the World History for Us All project; the World History and Literature Initiative; or the Weatherhead Initiative on Global History, among others. For high school educators, then, the challenge remains. How do we teach students about the intercultural dimensions of the world? What aspects of ten millennia of human activity and achievement do we choose to emphasize? And, how do we help students consider the perspectives, values, and beliefs of others whose histories are radically different from their own while recognizing the common threads that connect us all? One thing, though, is certain: the answers to these questions will only grow in importance as we prepare students for the world they will inherit in the decades ahead. Betterly, Jack. “Teaching Global History: Context, Not Chronicle; Passion, Not Pedantry.” The History Teacher 33, no. 2 (2000): 213–19. Dawson, Doyne. “The Assault on Eurocentric History.” Journal of The Historical Society 3, no. 3–4 (June 2003): 403–27. McNeill, William H. “What We Mean by the West.” American Educator 24, no. 1 (Spring 2000): 10–15, 48–49. Ricketts, Glenn, Peter W. Wood, Stephen H. Balch, and Ashley Thorne. The Vanishing West: 1964–2010: The Disappearance of Western Civilization from the American Undergraduate Curriculum. National Association of Scholars, May 2011. Abdou, Ehaab D. “Toward Embracing Multiple Perspectives in World History Curricula: Interrogating Representations of Intercultural Exchanges Between Ancient Civilizations in Quebec Textbooks.” Theory & Research in Social Education 45, no. 3 (2017): 378–412. Don, Patricia Lopes. “Establishing World History as a Teaching Field: Comments from the Field.” History Teacher 36, no. 4 (2003): 505–25. Drayton, Richard, and David Motadel. “Discussion: The Futures of Global History.” Journal of Global History 13, no. 1 (2018): 1–21. Kelly, Timothy, Kevin Meuwissen, and Bruce Vansledright. “What of History? Historical Knowledge within a System of Standards and Accountability.” International Journal of Social Education 22, no. 1 (2007): 115–45. Nordgren, Kenneth, and Maria Johansson. “Intercultural Historical Learning: A Conceptual Framework.” Journal of Curriculum Studies 47, no. 1 (February 2015): 1–25.